I picked up this Powermatic 1150A Variable Speed Drill press despite it having 0.01" of runout at the tip of the JT33 taper spindle. This runout translated to a very large amount once chuck was installed and a drill bit inserted. Pretty much unusable. 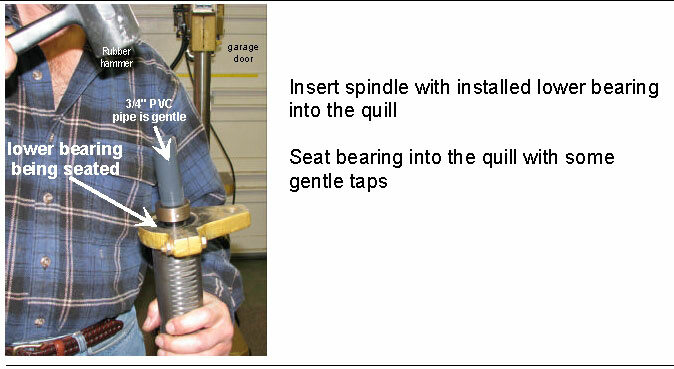 Suggestions were made by skilled and knowledgeable people about using a bottle jack to nudge the taper true. I was not successful at this and did not want to risk further harm. 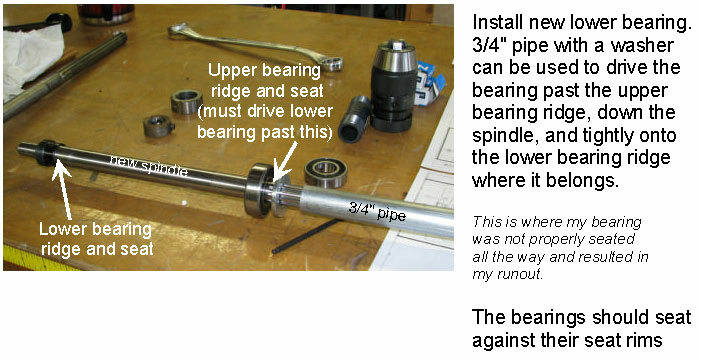 I decided to replace the spindle and bearings. 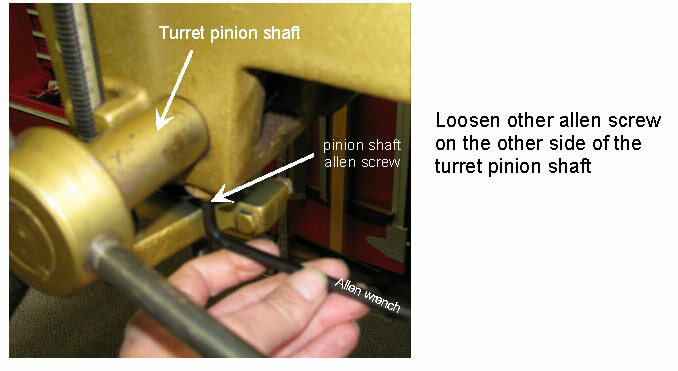 After removing and inspection of the spindle I noticed that the lower spindle bearing had not been driven all the way down to it's seat. 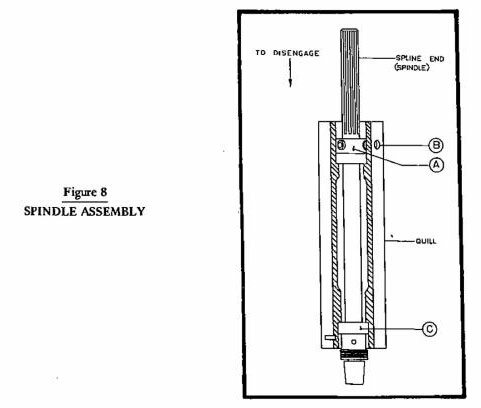 I believe that my original spindle may have been perfectly good and the entire problem was improperly seated bearing. 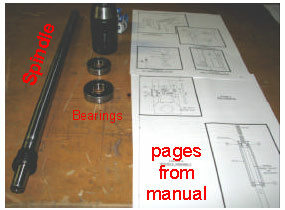 It would be a relatively easy thing to verify before one orders new expensive parts like this spindle. I'm just sayin'. Here is an image of the 1991 PM 1150A Variable Speed DP during the process of measuring runout. 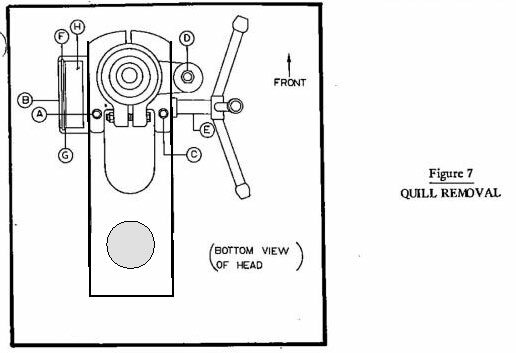 The dial indicator on on the flexible arm is measuring the runout at the tip of the taper of the spindle.